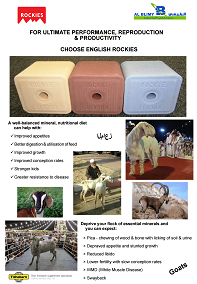 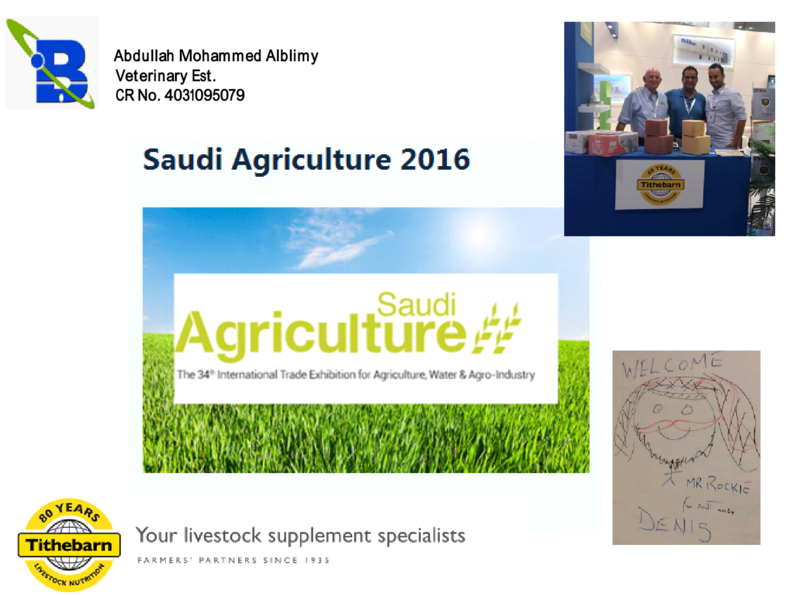 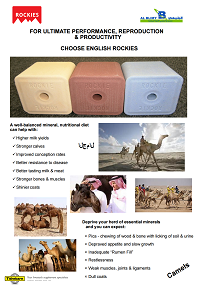 Following Rockies’ very much anticipated first appearance at SAUDI AGROFOOD 2015, Tithebarn and Alblimy now Abdullah Mohammed Alblimy Veterinary are to showcase a range of Rockies especially designed for the Kingdom of Saudi Arabia. 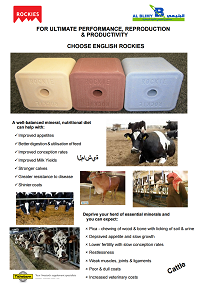 The successful introduction of English Blue (Blue Rockies) has helped to open and consolidate the newly established local market. 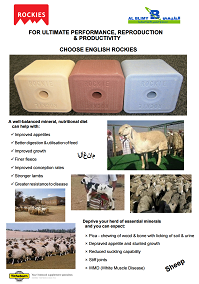 Farmers are now asking Rockies by names which promotes further supplies to be manufactured for immediate delivery to replenish stocks. 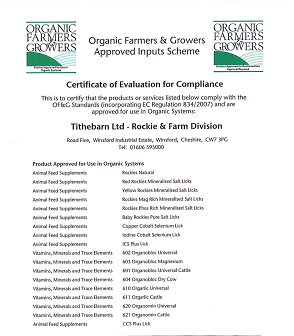 To echo this year’s organic/sustainable theme at RIYADH, all Rockies supplied by Tithebarn are officially approved products to be used on organic farms.